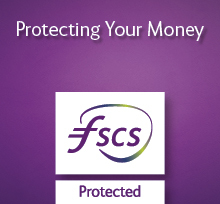 The Society is covered by the Financial Services Compensation Scheme (FSCS). The FSCS can pay compensation to depositors if a building society is unable to meet its financial obligations. Most depositors – including most individuals and small businesses – are covered by the scheme. In respect of deposits, an eligible depositor is entitled to claim up to £85,000. For joint accounts each account holder is treated as having a claim in respect of their share so, for a joint account held by two eligible depositors, the maximum amount that could be claimed would be £85,000 each (making a total of £170,000). The £85,000 limit relates to the combined amount in all the eligible depositor’s accounts with the building society, including their share of any joint account, and not to each separate account.